Infused with character, three new designs of alloy wheels are available- including this stunning 19" version. Interior touches ranging from the high quality finishing materials and new instrument panel to the leather gear lever add to the premium feel of the new Qashqai. Sink into the lasting comfort of Qashqai's new seats: with their new monoform design, high quality Nappa leather and soft 3D quilting finish, the seats in the new Nissan Qashqai surround you in lasting, luxurious comfort. Experience more of the world outside through Qashqai's panoramic glass roof with electric one touch shade. Store all your essentials in the bucket-size glove box. Every detail in the New Nissan Qashqai has been given the premium treatment: the new, electronically adjustable, monoform leather seats are linked to a 2 person memory function to make changing drivers a little easier. New Qashqai allows you to refresh your cabin from inside or out, you can now open your windows remotely using the key. For the perfect combination of fuel efficiency and sporty dynamics wrapped in a premium SUV body, look no further. With its exterior aerodynamics and smooth Xtronic transmission, have it all with the New Qashqai. With 4x4-i, Qashqai is capable on or off road. Choose between full-time 2WD for maximum efficiency or Auto Mode, which constantly monitors conditions and adjusts the balance of power between the front and rear. Agility and excitement meet stability and security in a smooth, nimble and adaptable drive - New Qashqai is a new super SUV. 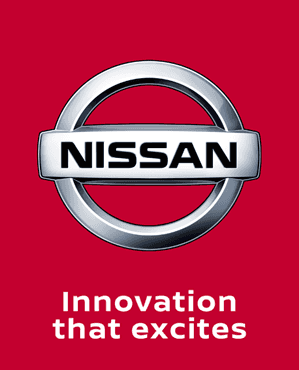 Contact Charles Hurst Nissan in Northern Ireland to book a test drive today. Contact your local Charles Hurst Nissan to find out more about the new Nissan Qashqai, visit your nearest Charles Hurst Nissan dealership in Belfast, Newtownards, and Chimney Corner, Mallusk (Newtownabbey) or get in touch via phone or the website. We'll arrange for you to test drive it and our professionals will take you through the various specifications and array of stylish accessories.